You know those times when you are just about to head out of the house, and you grab your iPhone, only to notice that you’ve got hardly any juice left? Yeah, me too. When you need a quick charge on your iPhone or iPad, there’s a chimp-simple way to get it charged faster than usual, and it’s available with a quick tap or two. Drop into your Settings app with a tap, and then glance at the first option on the screen: Airplane Mode. Toggle this to ON when you need a quick charge. 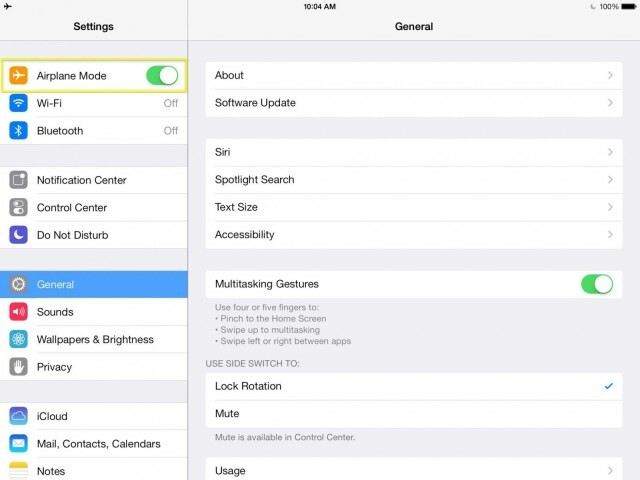 When you have Airplane Mode active, your iPhone or iPad won’t check for phone calls, text messages, or have any data connections at all going on in the background. These are the things that use up battery life, so it stands to reason that turning them off will keep your battery from using up charge, even when it’s charging. Note that you won’t get important calls or messages when you do this, so make sure you turn it off when you’re charged enough to get out the door. I think I’m going to use this when I’m in my car, connecting the iPhone to my cigarette lighter port for some quicker charging while on the go. It’ll have the added effect of keeping me off my iPhone at stoplights (not that I actually ever do that–no sir).